Check out 16 spectacular and mind-blowing Indian bridal hairstyles meant for those with curly, short hair! Gone are the days when brides use to shy away from getting their hair cut too short just before the wedding. And if you had curly hair, then even worse as it was considered easier to style longer hair and straight long tresses worked wonderfully with the quintessential Indian bridal look. 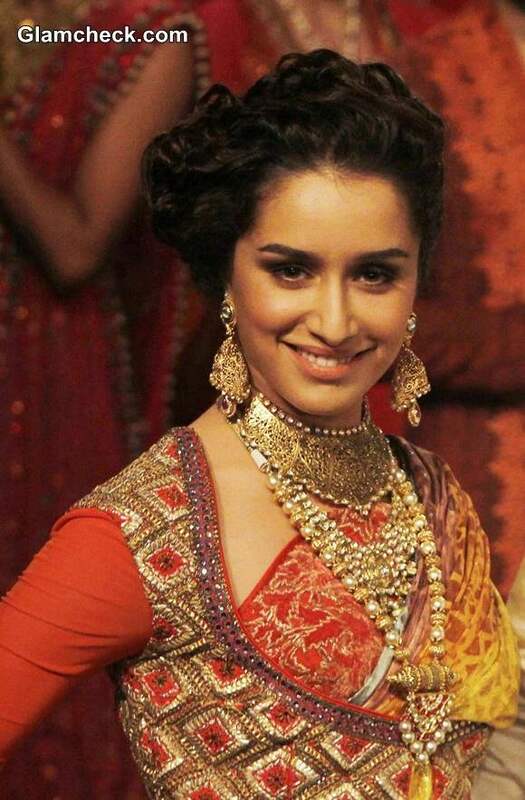 But the modern Indian bride is spoilt for choices with the umpteen options we have for short curly hair. So today Zuri brings to you hairstyle ideas for brides with short and curly hair. 1. Curly updo: Messy updo is probably the simplest and quickest option you have. Besides it looks super cool and works very well for a cocktail or reception party when you’ve adorned a sultry gown or maybe even an Indo-western dress and beautifully shows off that plunging neckline. All you need to do is get your curls together and pin them up into a high bun. Don’t forget to pull out a few tendrils to hang loosely over your temples to give yourself a soft, flirty look. The best part is that this hairstyle even works for short hair. Go for trendy accessories to make it look even chicer. 2. Braids: There has been a long-standing tradition of wearing your hair in a braid for your wedding day. Fortunately, this trend has been twisted and twirled to make way for more contemporary versions of it like the fishtail braid, worn sideways. And it looks best when worn messy. So style those locks of yours into a braid and your hair being naturally curly will do justice to the messy part. But if you want to go by the rule book and prefer the traditional long braid then flat iron your curly hair and use hair extensions to style them into a traditional braid. 3. Low side bun: Now this one is a personal favorite and looks absolutely gorgeous with sarees. My hair being straight, I curl them up with a curling tong and sweep them sideways to pin them into a low side bun. But you being blessed with natural curly hair, only need to part your hair into a side parting, and neatly tuck your curls together behind your ear with bobby pins and you’re good to go. Accessorizing this look with flowers makes it look ethereal. 4. Curls left loose: Now this style works very well for the pre-wedding functions. Just wear your gorgeous curls loose with an embellished hair band. You could also back-comb the crown area into a puff for that added drama. Or maybe even half tie your hair at the back with the rest of the curls hanging loosely. Make generous use of a glossy shine spray to make your curls look healthy and shiny. So all you beautiful brides with short curly hair, try out the above hairstyles and get ready to look ravishing on your big day.